Below are some of our already completed projects. 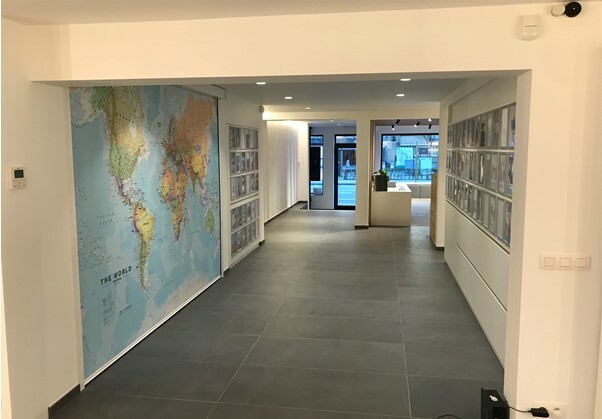 For the new office of a travel agency, a world map was processed in a custom-made electric roller blind. The cabinet on a mobile stand is a multifunctional application. 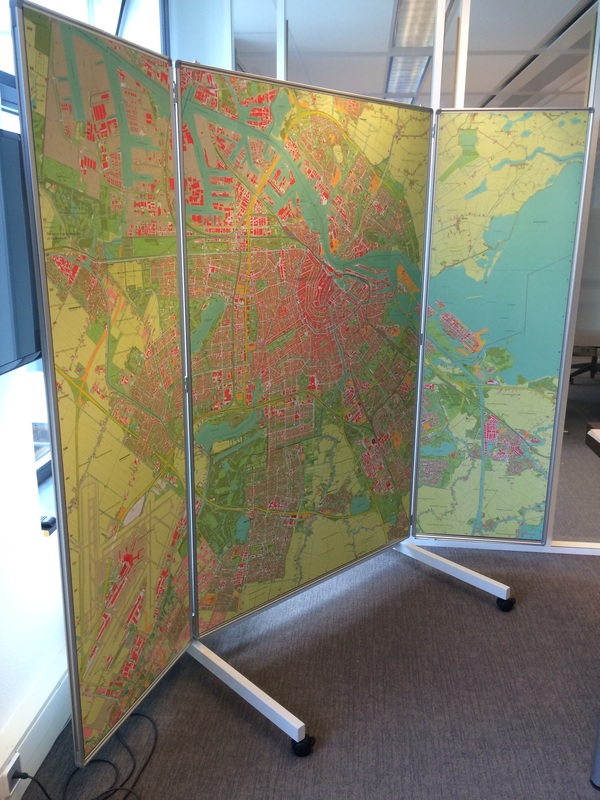 The map is mounted on different panels that serve as magnetic boards. 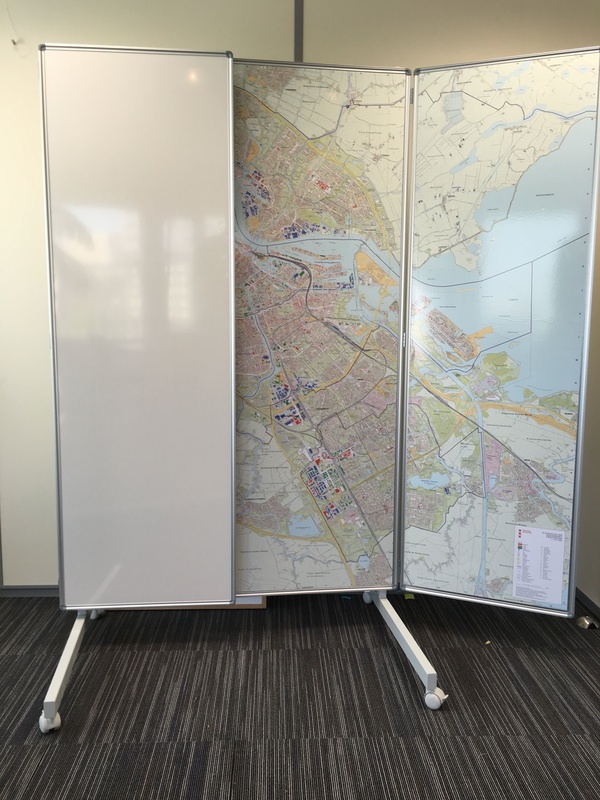 The back of the panels can be used as a whiteboard. Other versions are of course also possible.